Data backup & recovery are your insurance policy against hardware failure, human error, natural disasters, viruses and theft. 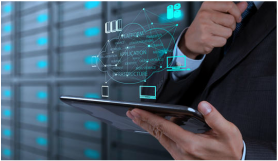 As a leading storage management specialist, EBS aims to build up a tailored backup and disaster recovery system with the best combination of scalable storage management software and data storage automation hardware. Our unique solution will leverage IT investments and be able to accommodate both increasing volumes of data as well as network expansion. EBS well-known Centralized Backup Solution provides you an integrated backup solution that takes the advantage of client/server computing on enterprise backup management. Each year hundreds of data centers worldwide will experience significant service interruptions. These businesses will be threatened by a range of problems including software failures, hardware failures, viruses, and more. In a world where business operates every hour of the day, ensuring business continuity is critical to ensure business survival.